We wish you all a very happy and very prosperous 2016! To jump it off, we have an amazing episode today! Brett King hosts David Bach, 9-times bestselling author of the Finish Rich series, and a financial guru. Check out more about him at FinishRich.com. Also, Brett talks to Ken Lin, CEO of Credit Karma, one of the top ten FinTech Unicorns! And last, but hardly least, Michael Casey, our Bitcoin Correspondent from the MIT Media Lab, updates us on bitcoin news! This is an all-star Breaking Banks! Michael Casey is a writer and researcher in the fields of economics, finance and digital-currency technology. In September, he was named as Senior Advisor for Blockchain Opportunities at the MIT Media Lab’s new Digital Currency Initiative. He spent the previous 23 years as a journalist, the last 18 of which were spent at The Wall Street Journal, where was a senior columnist covering global economics and markets. Along with WSJ colleague Paul Vigna, Michael is the co-author of The Age of Cryptocurrency: How Bitcoin and Digital Money are Challenging the Global Economic Order. Michael is a graduate of the University of Western Australia and has a Master’s Degree from Cornell University. 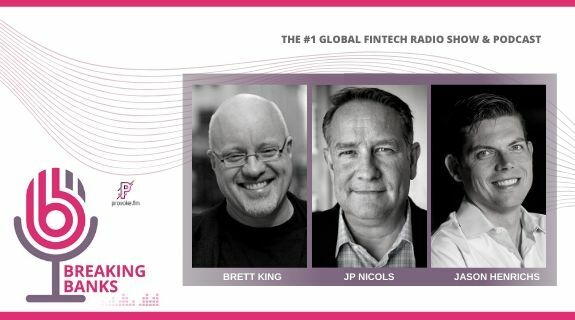 https://www.voiceamerica.com/show/2193/breaking-banks-fintech 25/04/2019 12:00 25/04/2019 01:00 Breaking Banks Fintech https://www.voiceamerica.com/show/2193/breaking-banks-fintech We wish you all a very happy and very prosperous 2016!